Ever heard of the brand Tempurpedic? If you’ve ever shopped for a mattress, chances are good you have. 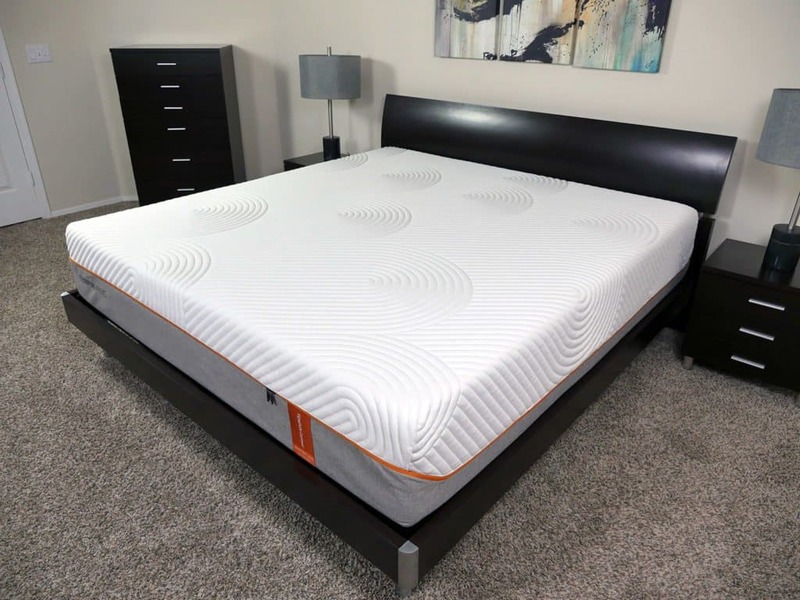 Since Tempurpedic is a veteran in the luxury mattress market, Sleepopolis decided to put the company’s Contour Rhapsody Luxe mattress to the test. Will the Tempurpedic Rhapsody Luxe mattress stack up to the high expectations built by the brand? Continue reading below to find out! Looking for other Tempurpedic models? See our complete list of Tempurpedic mattress reviews here. This mattress offers deep pressure relief and body-contouring — perfect for memory foam lovers! The Tempurpedic Rhapsody Luxe mattress is a 13.5″ mattress built from four separate layers of foam. Top layer – 2″ of memory foam. The top layer of this mattress is designed to provide the initial comfort, cooling, and pressure relief for the sleeper. 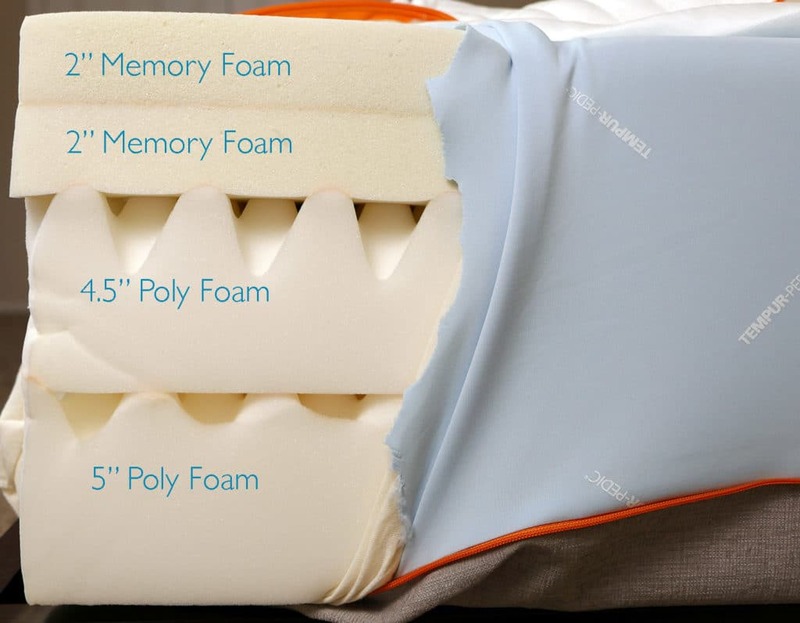 Second layer – 2″ of memory foam. This layer is similar to the top layer, only a bit firmer. The second layer of memory foam provides the contour for the sleeper as well as providing a level of transitional support. Third layer – 4.5″ of polyurethane foam. The third layer of this mattress acts as the transitional layer between the comfort foams and the firmer base foam. This layer also provides support for the sleeper. Bottom layer – 5″ of polyurethane foam. This bottom layer acts as the foundational base for the mattress in addition to providing a level of deep compression support for heavier sleepers. The cover of the Tempurpedic Contour Rhapsody Luxe mattress is constructed from a blend of polyester (98%) and spandex (2%). The combination of these materials creates a soft, stretchy, and breathable cover. Thin by design, the cover of this Tempurpedic mattress allows sleepers to be in closer contact with the foam layers below. Aesthetically speaking, the cover utilizes a modern, but simple design. An all-white top half also carries down the sides until an orange line creates a break in the cover. The bottom half of the mattress is a light gray color with the Tempurpedic logo embossed at the foot of the mattress. Additionally, the top half of the cover has a plethora of wavy lines stretching across the mattress. This design does not necessarily make any functional difference, but it certainly adds a nice finishing touch to the cover as a whole. The Tempurpedic Contour Rhapsody Luxe brings home a firmer feel, landing at a 7-7.5 out of 10 on the firmness scale, where 10 is the most firm. While this mattress does land at the firmer end of the spectrum, it does allow for body contouring for relatively lighter portions of your body (head, elbows, feet, etc.). This mattress did a nice job of supporting me in every position. During my sleeping test, I never once felt as if the mattress was creating an off-balance level of spinal alignment. While I do tend to favor my stomach, I was able to sleep on my back and sides due to the contouring support of the memory foam. That said, the firmer feel may create support issues for some sleepers. As a lighter to average weight sleeper (140 pounds), I was able to compress the top layer just enough so that the second layer of memory foam was able to push back against me and fully support my body weight. Lighter weight sleepers may experience additional firmness, which could mean too much push back in certain positions, leading to an uncomfortable degree of support and potential pressure points. On the other hand, heavier sleepers are going to be able to compress the top layers more than I did, placing them in contact with the more supportive base layers. 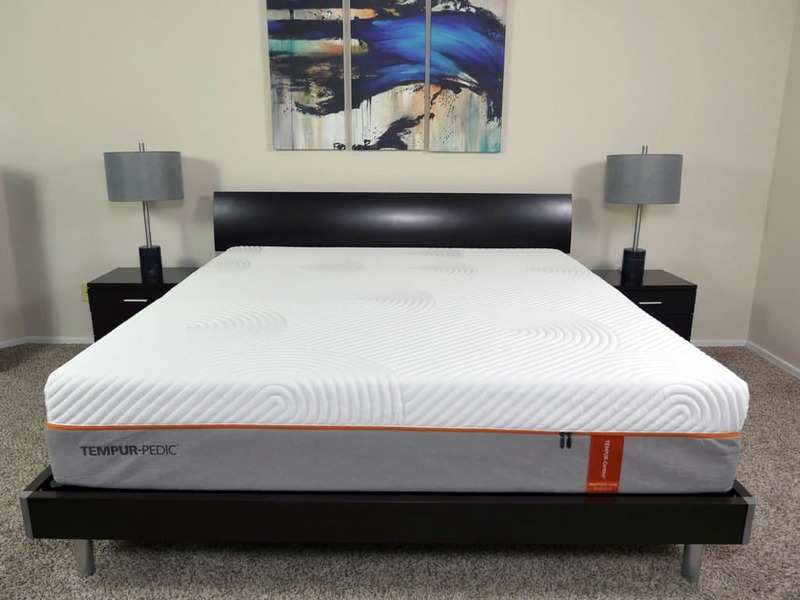 The Tempurpedic Rhapsody Luxe will do a good job of providing deep compression support for heavier sleepers as well due to the overall thickness and thickness of the comfort layers. A 7-7.5 firmness is more ideal for back and stomach sleepers, and less ideal for side sleepers. Most side sleepers will be better off with Tempurpedic’s Cloud Supreme or other side sleeper mattresses. The hug and contour of this Tempurpedic mattress was quite nice. Initially, there is not a large amount of sinkage; however, after a few seconds, the sinkage increases. The sinkage is somewhat delayed, due to the dense layers of memory foam used in this mattress and their relatively slow responsiveness. When I first lay down on this mattress, I experienced minimal sinkage. After a few seconds the memory foam materials fully responded and contoured to my body, bringing me to a total of 1.75″ of sinkage while lying normally on my back. As with other memory foam mattresses, the Tempurpedic Rhapsody Luxe notably contours and wraps around your body. 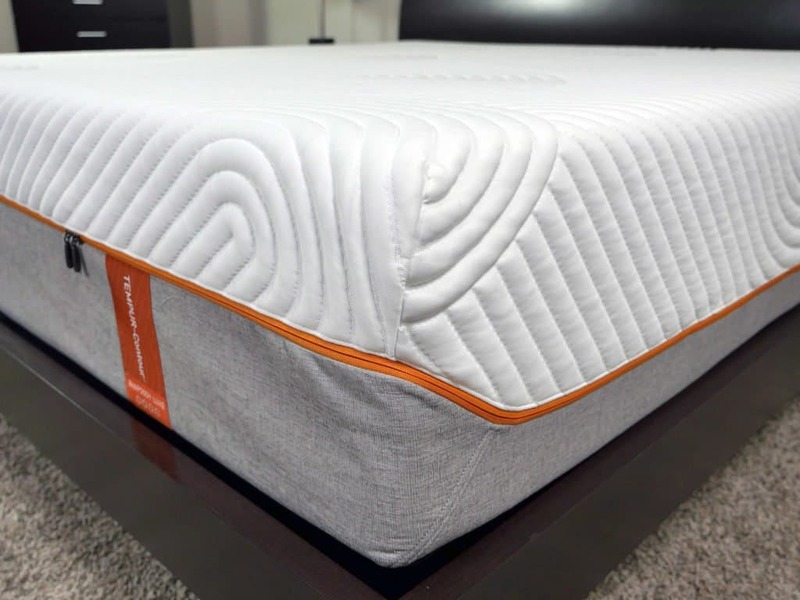 The sinkage and contour will vary depending on body weight, but once you reach the equilibrium point the mattress does have a strong level of push back, which is what creates the firmer feel. Lying on back – While lying on my back with all of my weight spread evenly across the mattress, I saw 1.75″ of sinkage. Lying on side – While lying on my side, I saw 3.25″ of sinkage. Sitting on the edge (conservative) – While sitting slightly back from the edge of the mattress, I saw 4″ of sinkage. Sitting on the edge (aggressive) – In a more aggressive sitting position with all of my weight directly on the edge, I saw 5″ of sinkage. Standing in the middle – With all of my weight standing at one point on the mattress, I saw 5.5″ of sinkage. Keep in mind, sinkage results may vary based on body weight and body type. As mentioned above, I weigh 140 pounds. The response time on this Tempurpedic was as expected, very slow. 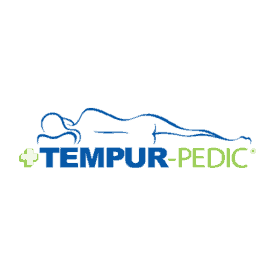 Tempurpedic is known for their classic memory foam feel, which includes a response time that takes longer to contour and adapt as sleepers move and change positions on the mattress. Bounce on the Rhapsody Luxe mattress was incredibly subdued. The memory foam design works to absorb energy, and not push back at the same level a responsive foam, coil, or latex mattress would. This Tempurpedic mattress has one of the lowest bounce factors I have tested to date. On a positive note, less bounce means less motion transfer. This Tempurpedic mattress was able to dissipate energy and motion transfer easily. Just as this mattress had one of the lowest bounce factors I have tested, it also is one of the least motion transferring mattresses I have tested. 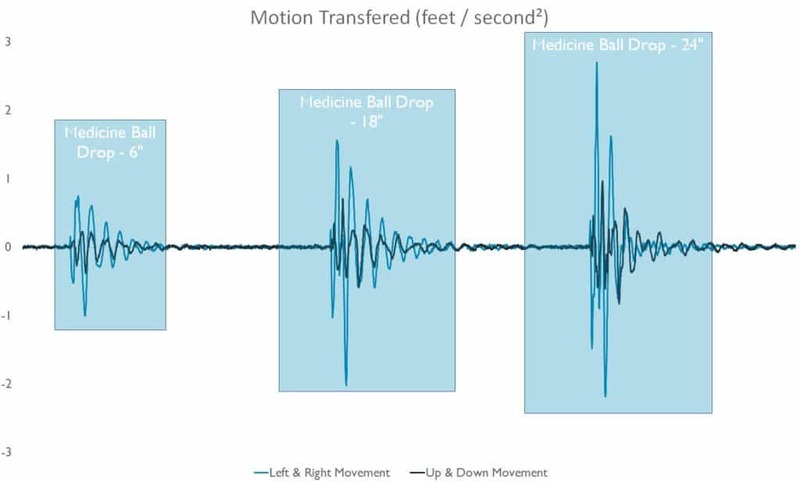 The following graphic is a visualization of our accelerometer-driven motion transfer test. For these tests I place an accelerometer on one side of the mattress and drop a 12 pound medicine ball from three different heights, 6″, 18″, and 24″, on the other side of the mattress. This test is designed to show you, in an objective data-driven way, how the mattress handles motion, energy, and bounce. Cooling on the Tempurpedic Rhapsody Luxe was about average, in my opinion. Memory foam as a material just tends to sleep warmer. However, Tempurpedic does use convoluted foams in the 3rd and foundational layers, which help to improve airflow. During my sleep test on the Rhapsody Luxe I slept slightly warmer than I typical do. If you are a naturally warm or heavier sleeper a memory foam mattress is likely not going to be a great fit. Heavier sleepers who sink deeper into the mattress could run into a hot spot, simply because the memory foam hug and sinkage depth may produce more heat than other materials. Naturally warm sleepers could also find that the memory foam is simply retaining too much heat, causing them to sleep uncomfortably warm. All that said, I should point out that I tested the regular version of the cover. Tempurpedic also offers a “Breeze” cover version, which has a cool to the touch feel. It’s more expensive, but it will help to keep the sleeping surface cooler. Returns – The mattress can be returned and you will be refunded, minus the shipping costs. Who should buy the Tempurpedic Rhapsody Luxe mattress? The Tempurpedic Rhapsody Luxe mattress is ideally suited to sleepers who enjoy the feel of memory foam and also need a firmer feel. 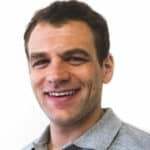 While the memory foam design does offer excellent pressure relief, even for relatively lighter portions of the body, it has a strong supporting push back that creates the firmer feel. This feel and firmness range is more ideally suited for back and stomach sleepers (who prefer the firmer feel), and less ideal for side sleepers. You want a slightly firm to firm mattress – The Tempurpedic Contour Rhapsody Luxe mattress offers a slightly firm to firm feel, landing at a 7-7.5 out of 10 on the firmness scale, where 10 is the most firm. You want a memory foam mattress – As a memory foam mattress, the Rhapsody Luxe is going to have slower response times, less bounce, less motion transfer, a sharper contour, and a pronounced level of sinkage. You will need to be sure you’re a fan of these attributes before moving forward with this Tempurpedic mattress. You want a sharper contour – This Tempurpedic mattress creates a sharp contour around your body. It allows your body to sink in and wraps to your unique shape. You are okay with a slower response time – The Rhapsody Luxe is ultimately a memory foam mattress, as such it takes several seconds to respond and adapt to changes in your movement. Budget is not an issue – At $3,499 for a Queen size, this is not an inexpensive mattress. If you’re looking for the top end of luxury or are simply a huge Tempurpedic fan, then the Rhapsody Luxe could be a good option. For more information or to buy the Tempurpedic Contour Rhapsody Luxe mattress, check out Tempurpedic.com. The Tempurpedic Contour Rhapsody Luxe is a luxury mattress built for the sleeper who enjoys a firmer feel, a sharper contour, good pressure relief, and great support. The Contour Rhapsody Luxe mattress does a great job of contouring to the sleeper’s body without creating a significant enveloped or stuck feeling in the mattress. That said, this luxury mattress is not exactly inexpensive. If you’re a sleeper who truly enjoys a luxury mattress and has no budget restraints, the Tempurpedic Contour Rhapsody Luxe could be a good option.